What is uMake? In Palestine, there is a rise in the number of entrepreneurs, freelancers, and multiple job holders. This shift suggests an increase in demand for co-working spaces. The unavailability of fully-equipped workspaces for individuals to do their work is an ongoing struggle. Freelancers and students cannot find a spot to do their projects, homework, or to hold their meetings. Entrepreneurs – particularly ones who work in newborn startups – lack a space that allows them to share ideas and expertise. This leads them to work in unprofessional and sometimes uncomfortable settings such as restaurants and cafes. Out of this struggle, uMake was born. 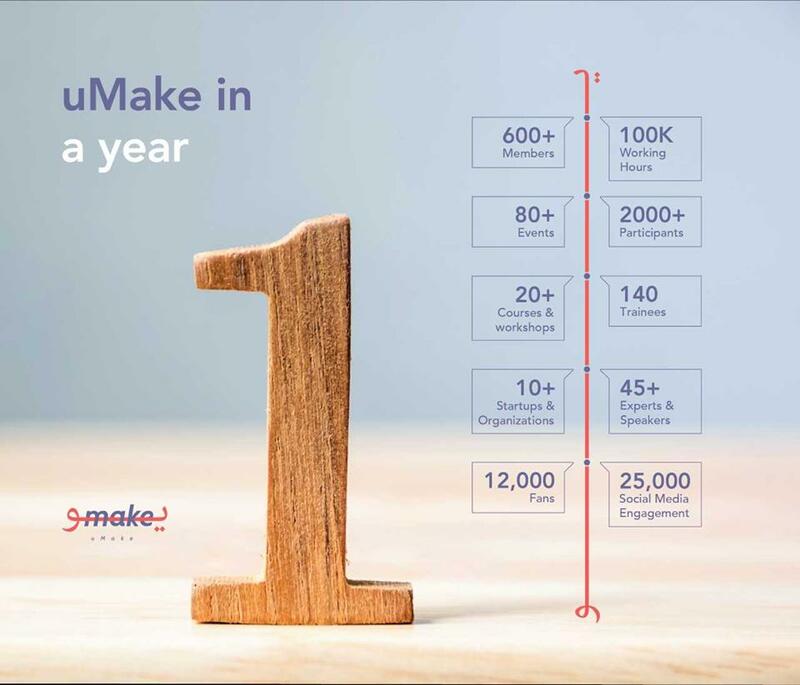 uMake is a collaborative, creative space that welcomes entrepreneurs, business professionals, makers, and students to work, meet, learn, and share experiences and expertise. uMake provides access to needed amenities, such as meeting rooms, electronics, and digital equipment, as well as a network of professionals to help its members work towards their goals. Help us become sustainable Our community is increasing rapidly, and so are our needs. The capacity of the current space is not enough to meet the needs of the larger community.